Greetings from the green North woods! Sunny and warm today. This post will be short on words and long on pictures. 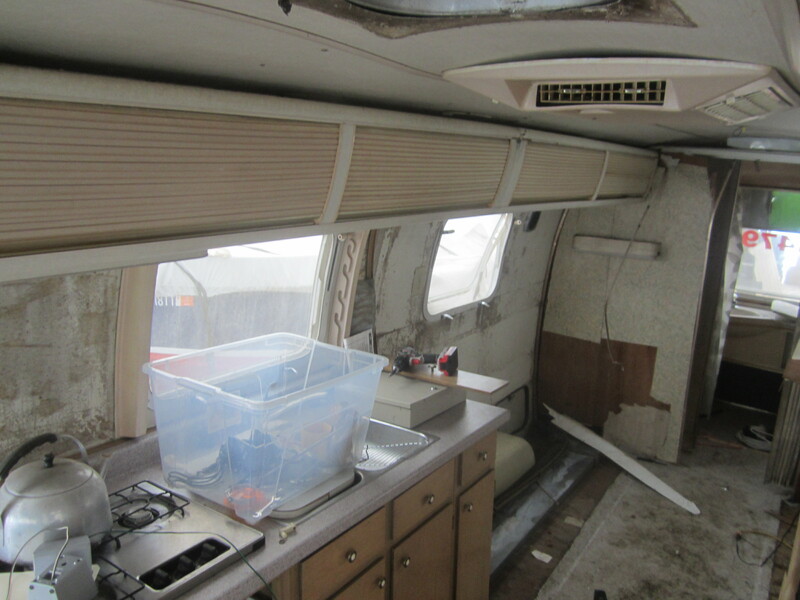 Since this is the second time that I have completely redone the inside of a classic Airstream camper, I decided more photo documentation would be good this time around. As to why I would take on such an endeavor. – I mean, I got pee to sell and a farm to manage, right? Well, it is like this – in order for me to do those things well, I need to have a project. Usually, it is more than one project. I want to work with my hands, mull things over in the solitude, and most importantly – see progress! I like results! So many things that we do in our lives either don’t produce clear results or the results may come after we’ve passed on. I may not pay close attention to the little details or do it like a carpenter would, but you bet I will get ‘er done! Well, as you can see, she wasn’t too pretty when I started. 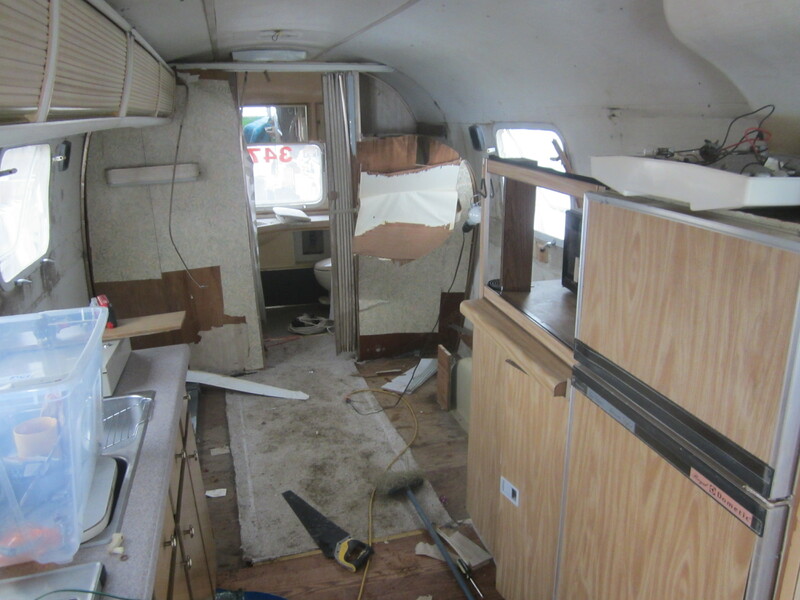 I ripped out all of the beds/couches and the table area. I only really kept the kitchen unit. Even the overhead cabinets came out. 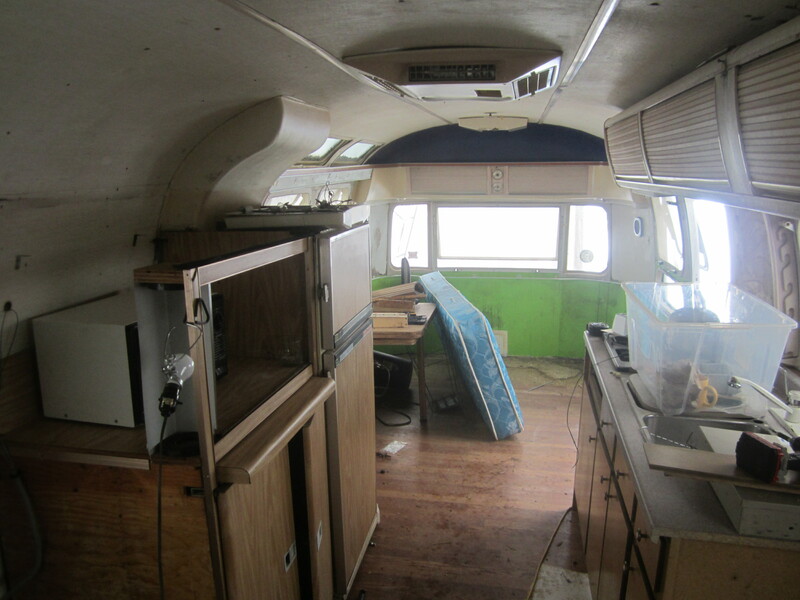 The outside is really nice to look at but the dated, plastic interior had to go. 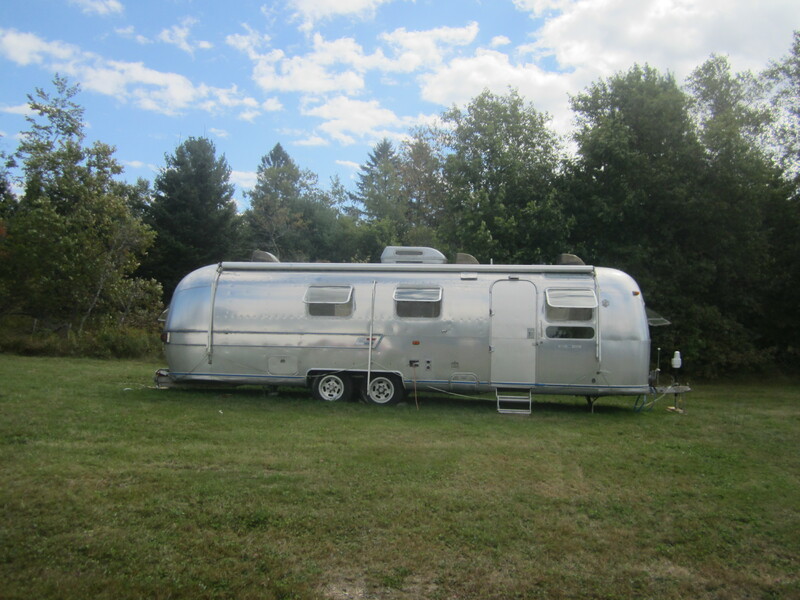 As soon as it was warm enough to work in the unheated storage area where the camper is kept, I began ripping and tearing and basically gutting the metal beast. Progress has been swift and many more pictures will follow in the weeks to come. This is just to give you a taste and to begin from, well from the beginning. The first step to getting results! Posted on May 14, 2015 by The PeeMan. 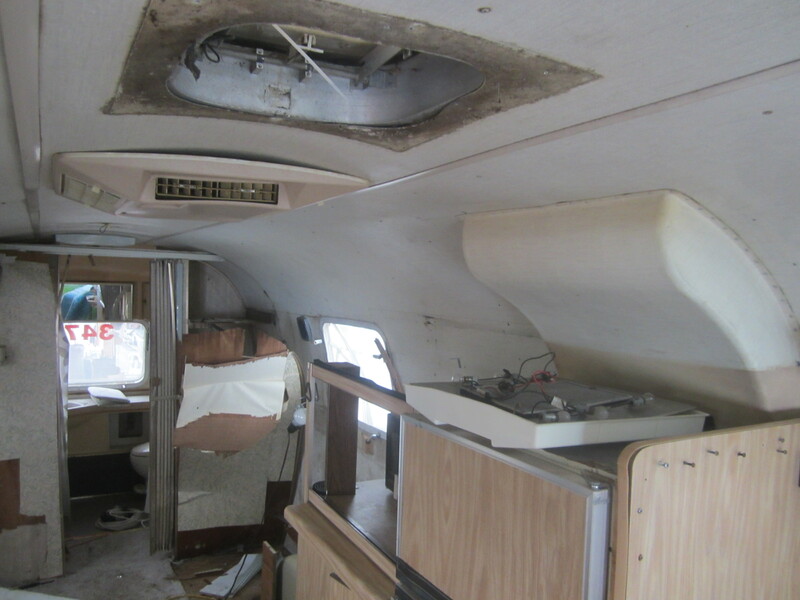 This entry was posted in Airstream refurbish, Lifestyle and Business, PeeMan Projects and tagged airstream, airstream pictures, airstream refinish, airstream refurbish, Peeman, predator pee for RVs, predator urine, predator urine for RVs, predatorpee. Bookmark the permalink. ← Today’s Ask the Peeman: Pee for Dog Training?